Perry Joseph Green was an Irish born, naturalised American author and New Thought minister, ordained in Divine Science and Religious Science. Green lived in Portland, Oregon and was a philosopher and preacher of the New Thought movement in the early 1900's. Green was alsoone of the early pioneers in the Metaphysical movement in America. In order to raise money for College, Dr. Green traveled around the U.S giving lectures and holding classes on Metaphysics. He wanted to venture into unknown territory and set up the standard of Truth. During his travels around the country, he started to realize that getting his message to others personally proved to be a challenge. Yet, Dr. Green knew that many people were ready for this newer revelation of Truth that he held. In 1918, he realized his dream and founded the College of Divine Metaphysics. In 1925, Dr. Green eventually resigned as the president of the College and assigned the position to Dr. William H. Woodfin. 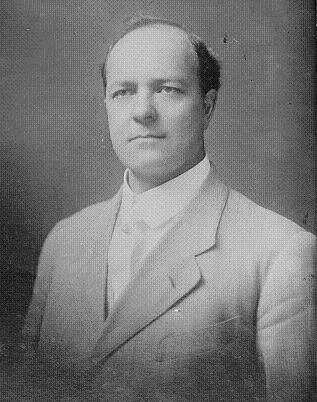 Perry Joseph Green was also one of the early non-theological New Thought authors, along with Napoleon Hill, Wallace Watlles, Frank Channing Haddock, Thomas Troward, Orison Swett Marden, and many others. Interestingly, most of the religious New Thought proponents were female, and most of the non-religious New Thought proponents were male. Prior to 1907, New Thought was becoming more popular in Portland, Oregon. Green was attending a series of meetings and classes on Emerson, Whitman, and the Bhagavad Gita , that was led by a man named Benj. Fay Mills. From these classes, the Fellowship Society of Portland Oregan was created. Perry Joseph Green became one of five appointed council members in the society. The society studied Philosophy and Metaphysics, and tuesday evenings were set aside for the study of Emerson's Essays . From these early groups, the Emerson Study Circle was created; other centres were also developed from the Fellowship Society and adopted the name New Thought.